Can I Deduct My Moving Expenses This Year? Moving is really hard work, it costs you money and causes disruptions to your life. It sure would be nice if you could get reimbursed for your moving expenses through a bigger tax deduction this year, wouldn’t it? But, surely that’s too good to be true. Or is it? Any way you can get the “tax monkey” a little more off your back, the better. Yes, it is possible that your move this tax year will qualify you for a hefty deduction. But there are rules you need to know first. Your old home is 100 miles from your new workplace. Your old home is also 15 miles from your old place of employ. 100 minus 15 is 85 miles more distant, so you get the deduction. Your old home is 50 miles from your new home, but only 45 miles from your new workplace. Plus, you were already commuting 10 miles from your old home to your old job. 45 minus 10 equals only 35 miles, so you don’t get the deduction. Note you have to calculate distances using the shortest possible commute route, even if that’s not the way you actually travel. You can claim the deduction the year of your move, even though the 12 months won’t end until the next year (unless you moved January 1st!). However, if it turns out you didn’t work full time to ultimately qualify for the deduction, you have to refund it on your next tax return. Incidentally, the relevant tax form is IRS Form 3903. What Can I Deduct Specifically? Any “reasonable expenses” incurred in the move can be deducted, if you have the receipts. That includes moving trucks, gas and tolls getting there, a storage unit if you couldn’t move in immediately and needed one, or plane/train tickets. It also includes vehicle shipping expenses, if you used a car shipping company rather than drove your vehicle the distance. Check out https://executiveautoshippers.com/how-your-auto-transport-could-increase-your-tax-refund/ to learn more. You can also take the “standard moving mileage deduction” instead of the gas deduction (if you drove). Just estimate which one will save you more. In essence, you are deducting any expense that was necessary and directly related to your relocation. 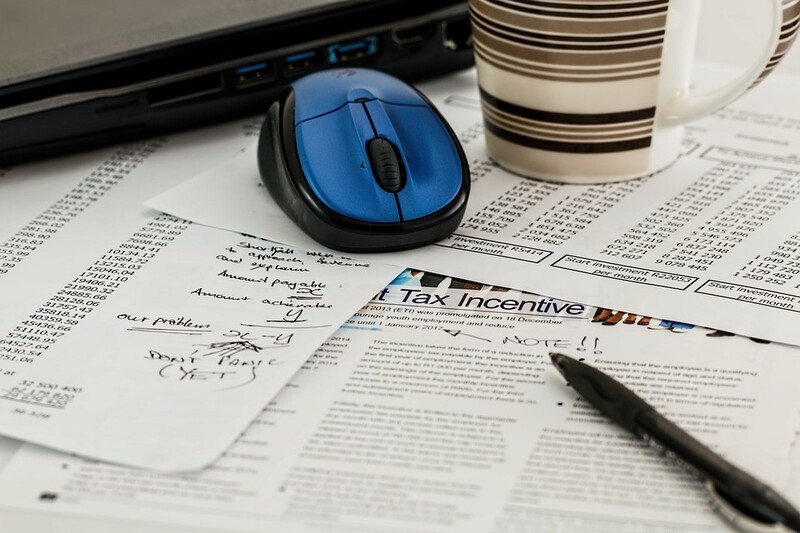 You may need to ask a tax expert about some of the details, but definitely save all receipts of anything that could possibly qualify. No money? No resources? No reason not to start a business! Starting your own business can really change your life and has the possibility of turning into something really amazing. However, quitting your day job, leaving everything behind and putting everything you’ve got into a pretty uncertain future isn’t always the best idea. It’s also not something a lot of people can afford or manage. But, what if you’ve still got that entrepreneurial fire burning inside of you and have that one business idea you just can’t get out of your mind? Should you just forget about it because you don’t have the financial stability and manpower to bring it to life? Sure, it will be hard and it will take a lot of effort and dedication to see it through, but it doesn’t mean that it’s not possible. Some of the largest and most influential companies today were started out of garages and dorm rooms with nothing more than a desire to make a difference. So, how do you tackle the problem of not having the money or the resources to start your own business the traditional way? 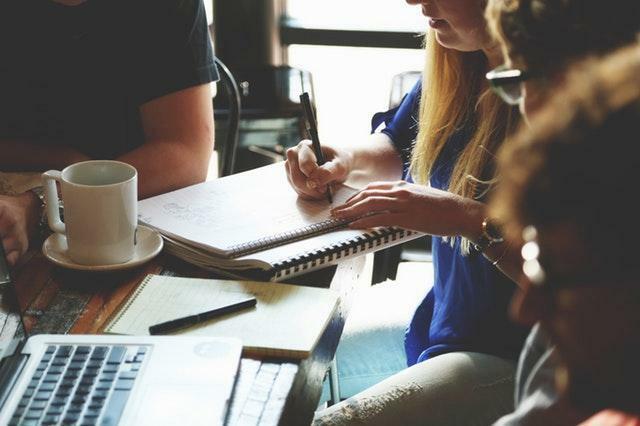 We’ve come up with a few ideas that will help you realize that the only thing you need to start a business is a bit of free time and a passion for what you do. Mapping out your business strategy and your business plan is much easier if you use an online project management tool. Tools like Trello, Wrike or Evernote will make segmenting tasks much easier and allow you track your progress in great detail. They’re all free and will help you stay organized. SITE123 is an incredible free website building platform that will transform the way people create websites. Its easy to use interface and incredibly intuitive features, as well as dozens of pre made layouts have already made it a favorite among small business owners. It comes with layouts designed for different industries such as restaurants, stores, and hotels. If you’ve got something to sell, having an online store is a must. 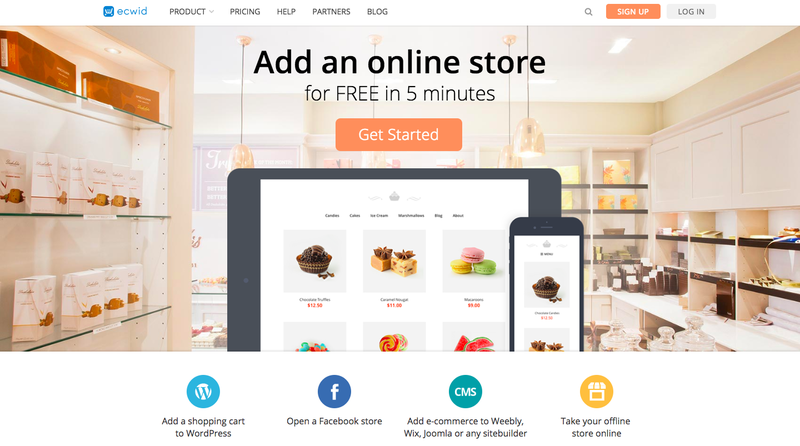 SITE123 offers a range of third party e-commerce apps you can add to your website and have a full-blown, working online store in seconds. Apps such as Ecwid and Selz make it easy to keep track of orders and calculate shipping rates, and make it easy for your customers to shop. Apart from a quick run to the post office, it won’t cost you a dime. It’s the year of the entrepreneur and funding a project has never been easier. Crowdfunding websites such as Kickstarter and GoFundMe changed the way people finance their startups. 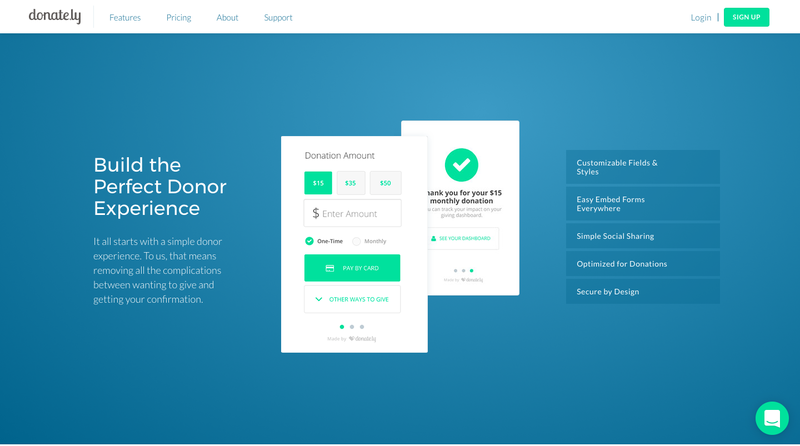 You can opt for one of these platforms, or you can add a Donately widget straight to your website.This donation app will allow your customers to skip the middleman and give money directly to you. If you’ve got a great idea and a solid business plan, the only other thing you need to start a business is passion and your laptop. We’ve listed just a few essential tools you should have, but there are many more that you can use to successfully run a business on your own. All of these tools are free and take seconds to set up, leaving you enough free time to focus on doing what you love. Ready to start a business? Create a free website and watch it take on from there! If you’re looking for a way to save more money, pay off debt faster, make important financial life decisions, or start out in the world of investing for your future, you’ll have to find a way to either spend less or earn more. For many people in this situation, the household budget has already been cut down to the bone, so additional income has to pick up the slack. Unfortunately, increasing your income often isn’t as simple as walking up to your boss and asking for a raise. For whatever reason, many people have reached the salary ceiling of their career, beyond which they can’t reasonably expect to pass. This can be frustrating and deeply discouraging, especially when one starts thinking about the events that brought about this circumstance. On the other hand, some people find freedom in novel second income opportunities that exist in greater number and variety than at any other point in history. For people who have a home computer or other internet-connected device (and these days, who doesn’t? ), spread betting can be an awesome way to generate that extra income. Beginning users will have to learn how the system works, as well as develop a familiarity with the economic and cultural factors which cause financial products to change in price. But with practice, reliable earnings can be had, enough to supplement income in many important ways. We’ll describe what spread betting is, how it works, and how the resulting returns can change your financial situation. Spread betting has been around for a long time, but it’s with the internet that it has really blossomed. In spread betting, an investor will consider many different stocks, bonds, indices, currencies, commodities, etc. on a site like ETX Capital. The investor will often choose one with which they are most familiar, but any can be picked. Next, the user will decide on a time period to watch the price of the stock (or whatever else). If the user feels sure that the price will have changed a certain way (either the price rises or falls) when that time period has elapsed, the user will make a spread betting contract to that effect. The contract will expire at the end of the chosen time, and the user will deposit funds (user’s choice of amount) into the contract in order to be able to receive returns if the price action goes according to plan. The user waits for the time to expire, then checks to see where the price was at the specific moment in time when the contract ran out. If at that instant the price was where the user anticipated (either above or below the starting price), the user will get returns based on how much the price actually moved in the chosen direction, and how much was initially invested into the contract. If things don’t go according to plan and the price action moves in the opposite direction, the user will lose the funds deposited. It might seem like spread betting is as unreliable as flipping a coin for predicting the future, but this isn’t the case for skilled users. Experience teaches spread bettors a great deal about the stocks that they bet upon. With time, they’re able to look at real world information and predict how the price action is going to change with some accuracy. At this level, spread betting moves from hobby to a legitimate source of second income. If you’re interested in seeing if you can use spread betting to make extra money, try out a free demo account where you’ll have all the functionality of a real spread betting account, but without the possibility of losing (or gaining) money. Good luck! When Is It Too Late To Start Planning Your Retirement? The simple answer is –Never. It is never too late to start retirement planning, and it’s never too early either. Many people put off retirement planning till much later in life, and one in five workers in the UK have Zero retirement savings and face retirement poverty. However, thanks to the UK’s pension auto enrolment program, many people have started saving towards retirement from a younger age. 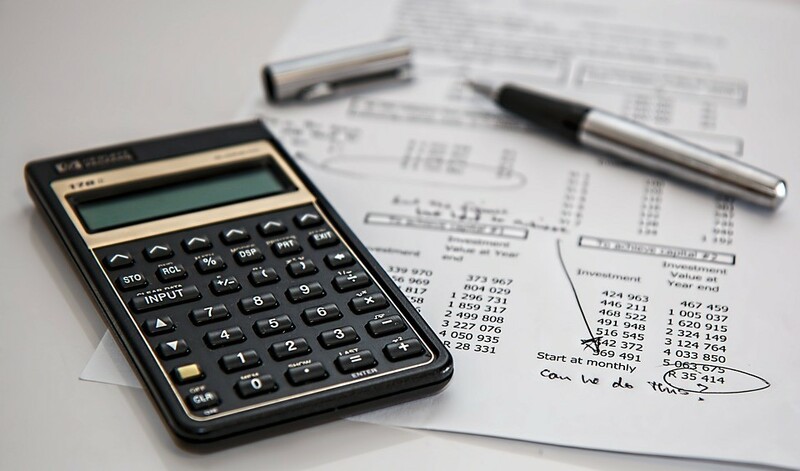 The UK has one of the world’s six biggest pension saving systems and according to data from the World Economic Forum, however, having a financially secure retirement still faces serious challenges. The average retirement age in the UK is currently 58 and too often many people put off retirement planning till they hit their 50s. Planning retirement from an earlier age certainly has its advantages – for example, thanks to compound interest, if you save £7,500 when you are 20 years old with 5% interest, by the time you are in your 50s, it can grow to almost £35,000. If you find that you are in your 50s and thanks to the realities of life- raising a family, growing a business and so on- you don’t have a retirement plan, no need to panic. First, you are not alone. The average person doesn’t start pension payments till they are 27years old and they are unable to keep up with payments till an average of 40 years according to data from this study. It’s not too late unless you tell yourself that it is. The important thing is for you to understand that the sooner you get a retirement plan in place, the earlier you can retire and the better your chances. The good news is that often, earning peaks in your fifties, and the substantial adjustments to your lifestyle that you would need to make a successful retirement might be a bit of a challenge, but taking the right steps now will give you a jump start on having a financially secure retirement. The most important thing you need to do is to start saving a large percentage of your income right away. If you can save between 10% and 20% of your gross income, then do it. It’s a lot more difficult that it sounds, but it is easily the most effective first step towards having a retirement plan. A few ways to successfully do this is to eliminate consumer debt (credit card debt), authorize an automatic withdrawal from your pay check, and send any bonuses and raises directly to your savings. You can do this by moving to a less expensive home, and moving your equity into your savings account. You will also make a lot of savings from utilities, maintenance, property taxes, mortgage payments and more. You can also consider moving to areas with a lower cost of living, and lower cost housing markets. These two strategies can help boost the contents of your nest egg. You can do more by reading more aggressive approaches to building a retirement savings for late starters. 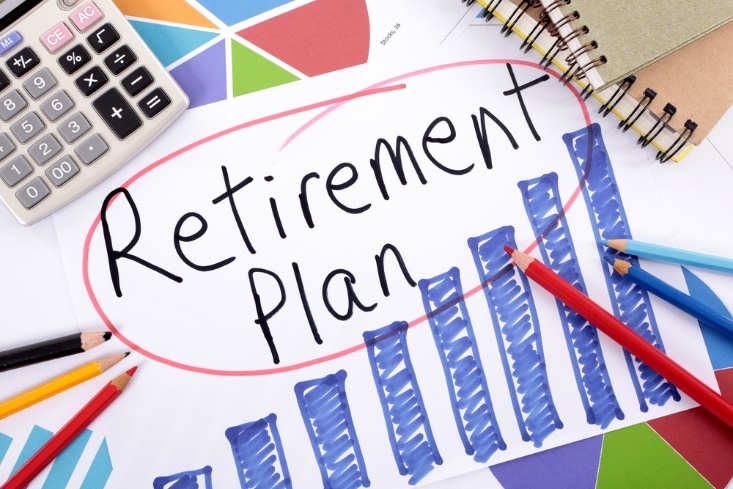 The most important thing to keep in mind, however, is that creating a retirement plan, whatever your age is a very urgent matter and it can never be too late (or too early) to start planning for a financially secure retirement right away.